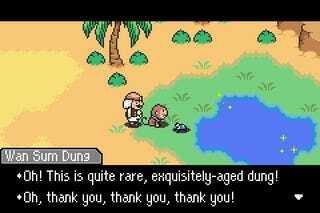 Who do you have to thank for that fan-translated Mother 3 patch that made the Game Boy Advance release all English-y? Clyde 'Tomato' Mandelin for one, part of the DIY Mother 3 localization team. Gamasutra sat down with Mandelin, whose day job includes translating games like Kingdom Hearts II and anime like Dragon Ball, who estimates that some two hundred thousand Earthbound fans downloaded the Japanese to English patch. In the interview, Mandelin talks about his ROM hack translation past, the differences between professional and fan localization and what's next for the hobby. A solid read. And in English too!